Make sure you send this to EVERYONE you know! It's tough to get into vlogging - we know this as much as the next person! But Christmas is a fantastic time to give gifts to your loved ones, and let your loved ones also know what gift to get you! So if you're keen on kickstarting your own YouTube channel and start daily vlogging your day-to-day life, then we have the perfect article lined up for you. We've broken vlogging equipment down into six important categories; the camera, the lights, the microphone, the editing software, the camera support and the extra lenses! And don't worry about your budget either; we've broken it all up into budget and pro-vloggers so you know where to look! Let us know in the comments below if you have any other products to recommend from your vlogging experience. You should just look right in your pocket! With every person on the planet basically having a smart phone already, don't worry about splashing loads of cash on a brand new digital camera because your phone is probably good enough as it is! Use it to practise and get comfortable in front of, before you decide to upgrade to the big leagues. Cost: Basically free! Now if you want to kick things up and take your vlog-career more seriously, the best way to go is the Canon Powershot - a camera used by most vloggers. It's incredibly compact, boasts 20.1MP and a 4.2x zoom lens. Plus, with full HD 1080p video recording at 60 fps, it's one of the easiest ways to upgrade from your phone to a real vlogging camera! Cost: Ł614. For those vloggers wanting to stick with their phone for a while, try putting an adorable little ring light on your phone to enhance the lighting on your front and back facing camera! It's easy to clip on and with the clip being covered in silicon, it promises not to scratch your phone. It's also super light weight and is made of shockproof high quality plastic! Cost: Ł13.99. 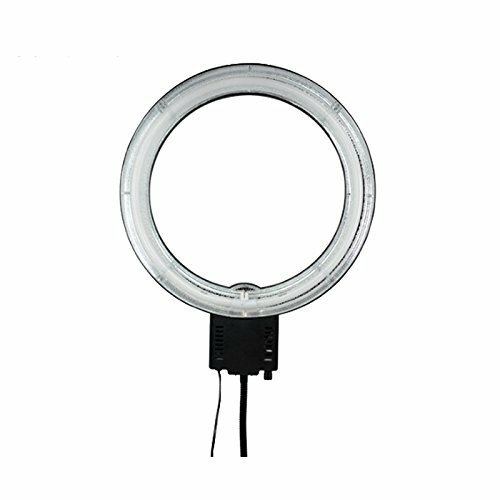 This totally controllable, tiltable and rotatable gooseneck ring light fits perfectly in your static vlogging equipment, especially if you're keen on making the more sit down and tell stories style of vlog. One of the biggest advantages of this ring light is the fact it won't overheat and it fits on all standard light stands - though they're not included. Cost: Ł82.63. Audio quality is practically one of the most important elements when it comes to creating videos for the Internet. This Blue Snowball easily plugs in to all hardware and boasts crystal clear audio recording for all your vlogging and podcasting needs! It also comes with a tripod, which is pretty darn handy. Cost: Ł49.99. This is one of the mic's for the big boys... the Rode mic! With a new capsule that promises lower noise and a higher sensitivity, this microphone is a must for anyone planning on taking YouTube seriously. It comes with its own shock mount to attach to your camera in addition to being incredibly light weight. Cost: Ł209.99. We've probably all used it before in some capacity, but Adobe is pretty much your first point of call when it comes to video editing. It's crazy simple, and if you get stuck trying to do something... you know can guarantee there will be a million tutorials on YouTube to help you out! Cost: Ł17.15 per month. 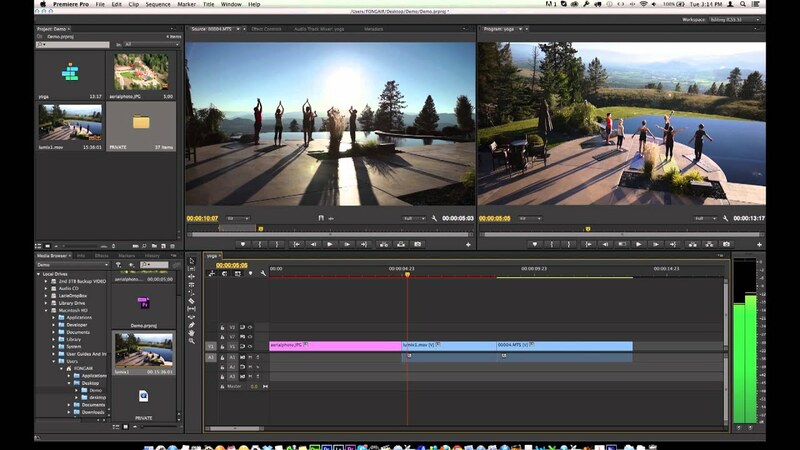 If you want to take your editing ability up a notch, take a look into Final Cut Pro. Widely considered one of the best pieces of software, used by people to literally create blockbuster movies, you'll be able to create your magnum opus on here - no problems! Cost: Ł229.99. This is just law - you're gonna NEED a tripod! Unless you want to fork out hundreds for a camera stabiliser, then you're going to want to buy a tripod so you can sit your camera down and vlog away. This one from Amazon supports practically all cameras up to 3 kgs, has a bubble level system so your shots are always straight and can reach up to 60 inches in height. Cost: Ł16.49. 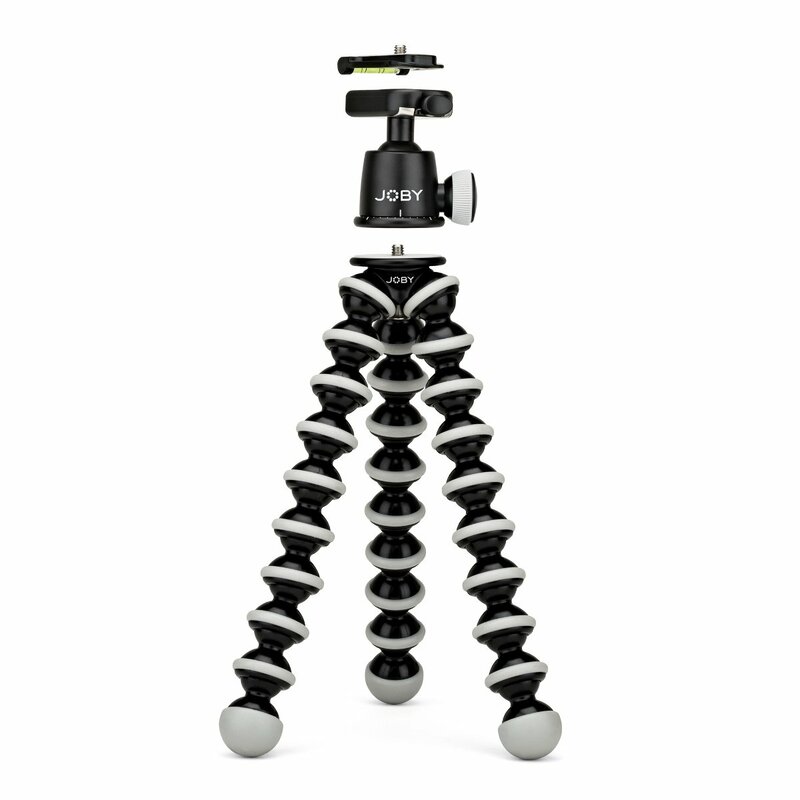 If you want to take your vlogging on the road and film yourself doing all sorts of crazy stuff on the road, then a GorillaPod is the best support for you. Its three legs are completely flexible and can bend up to 360 degrees in each direction. It also comes with a bubble level and a quick release clip, so if you want the best camera tripod on the go there really is nothing better! Cost: Ł64.95. 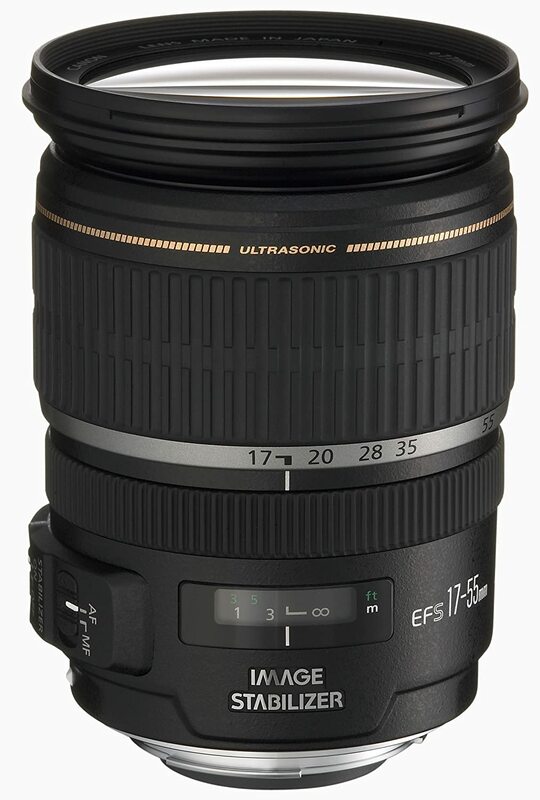 This is just an added extra, but if you're still rocking the phone way of vlogging, then you may want to consider getting some new lenses to improve your video! 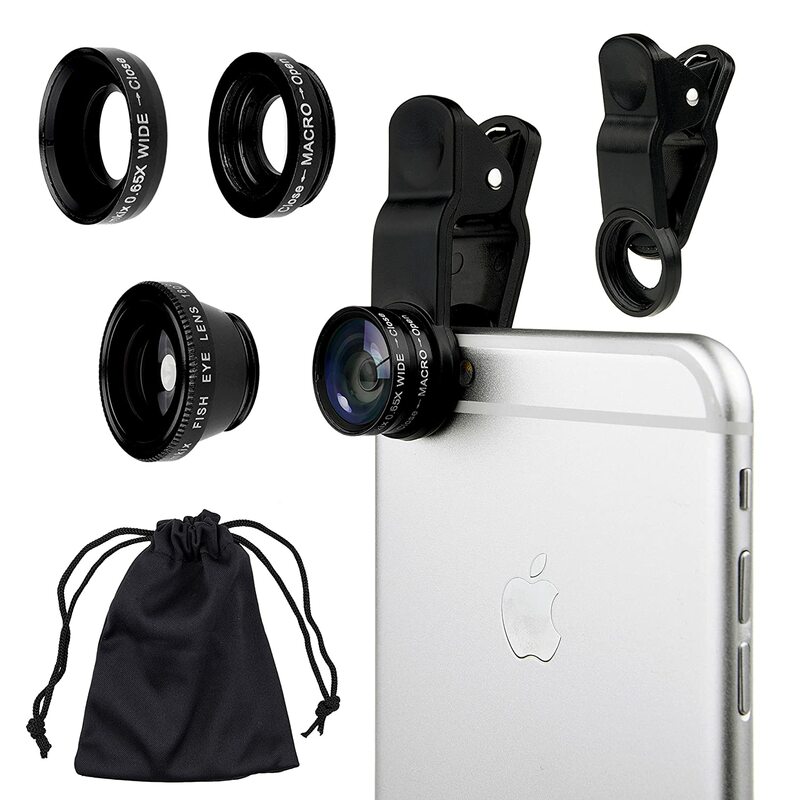 This handy set from Amazon comes with one fish eye lens, one 2-in-1 macro lens, a wide angle lens, one universal lip, one microfibre carrying back and is compatible with pretty much every phone on the market! Cost: Ł13.49. This one is for all the big time vloggers out there who want to put some SERIOUS equipment on their cameras. This Canon lens has an image stabilising ultrasound motor which makes sure your filming is totally silent but works perfectly. You can easily switch between autofocus and manual operation as well, thanks to its 77m filter size. Cost: Ł999.99.